Would I rather back Drew Brees than Case Keenum this weekend – of course. But it didn’t breakdown that way when I went through the process of handicapping the Saints vs. Vikings playoff game. My gut was pulling me to the underdog Saints, but my head, notes and process all landed on laying the points and tasking the home side. Sure, Brees and crew put together an impressive outing last week in their win over the Panthers. This offense is versatile, explosive and led by one of the best QBs in the league. But this week’s opponent has a pass rush that can disrupt all of that. Compare Brees’ numbers when pressured and when not pressured – there’s a big drop-off. And the Vikings will get after him. Toss in the fact they’ll be missing Andrus Peat and Terron Armstead is still on the mend and you have an edge for Minnesota. 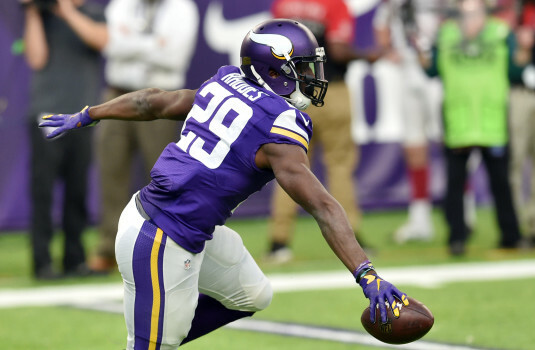 It would be natural to think the Viking D will be put in a position where they have to choose whether to focus on controlling the passing game, or the running game. However, this unit have proven very capable at handling both (the second-ranked rushing defense and the second-ranked passing defense). On the other side of the ball, the New Orleans defense hasn’t been overly difficult to face the last while. They were stout a few weeks back vs. the Falcons, but aside from that, and including last week (in which they gave up over 400 yards), they’ve been leaky. The Minnesota offense should have a good day. Even with Case Keenum leading the passing game attack, they have the pieces to create problems for the New Orleans backfield. And they should be able to establish success on the ground. NFL Pick: I’ll lay the 4.5 points and play on Minnesota. Head over to the Everyedge sports betting forum to talk about this game, check out picks from the Everyedge forum members and share opinions on all the action.